Every Child should have the opportunity to live in a family setting. Inspire Community Services offer an Evidence Based Support Package (SFSC) to Step-down placements as an alternative to residential care. Step-down Placements offer young people in or at risk of entering residential care the chance to live in a stable, nurturing home environment. 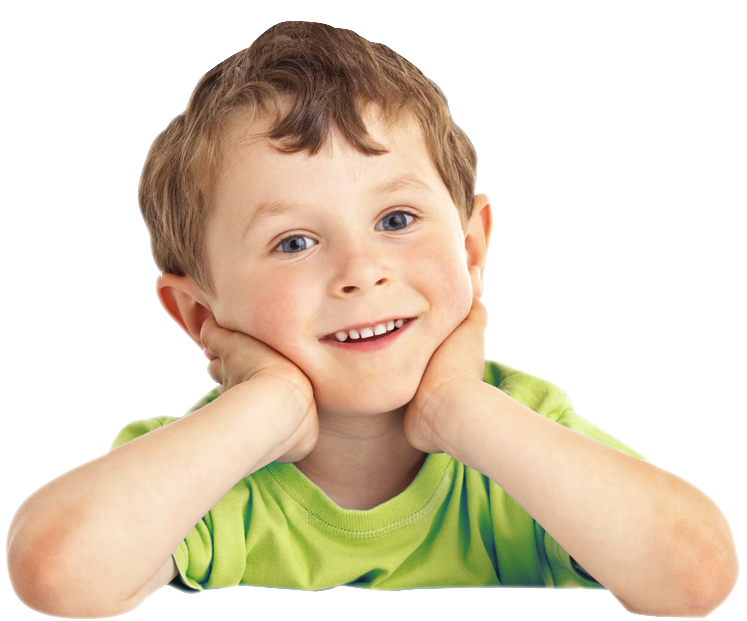 Inspire provide local authority Foster Placement and Independent Fostering Agencies (IFA) the support of cost-effective support to young people and their Foster Placement. This enables young people with repeated placement break downs a further opportunity of family life. Inspire offer intensive 1:1 support, to foster placements to enable young people to step-down from residential to foster care and the overall goal of the potential of a return home. Our Social Workers, Support Workers and Management Team provides a wealth of experience, which has already evidenced positive outcomes for the young people to remain in a family setting placement. That’s why our team of social care professionals work closely with the foster placements to provide a holistic approach. Our support packages are bespoke and will we will work to meet individual needs of each young person to assist in the step-down from residential care to foster care. We will also work on the same principles if young people have the opportunity of stepping down from Foster Care to return back to their birth or adoptive families. Matching a young person with the right foster carer is essential to the success of a placement. Once a placement has been identified for a young person, we will then work with the local authority IFA, foster carers and other agencies to put the necessary care and support plans in place to meet the young person’s individual needs. We will also support any transition for a young person from their current placement to their new placement and where require attend any pre visits or planning meetings. Once the young person has adapted to their new environment, the foster carer will continue to receive up to 20 hours per week of further support focusing on areas of the young person individual risk and needs assessment this support would then be reviewed on a 2 to 4 week cycle. At this stage, we expect most young people to be stable in their placement and are showing evidence of making progress. At this stage, our support can reduce or exit based on the risk and needs assessment of the young person. We have our own internal recording and reporting systems in place to ensure all working practices promote the safeguarding and well-being of children and young people. We provide the highest levels of communication with the foster carers, young people and other working professionals. We will provide detailed weekly, monthly reports and a report for all Statutory LAC Reviews. Our assessment tool allows our social care professionals to monitor and record the progress of the young person in all areas of need and development. Inspire Community Service runs a High Support Intervention Service for young people Birth to 21 years who are in crisis or on the edge of care. This service offers a creative, solution-focused service, to prevent young people going into Residential or Foster Care. Our service is able to meet the most complex needs, offering young people and individualised high support package. A range of structures, boundaries including diversionary activities can be implemented based on individual needs. This will give the current care giver the confidence to implement strategies consistently for themselves to give the young person a safe environment and stability. Within our High Support Intervention Service, we also work intensely with young people who have already experienced or are currently Looked After. Working with the Social Workers, Residential Workers or Foster Carers, Family members,Guardians, Education and other agencies. We are able through risk assessed Personal Support Plans and agreed time-scales, support young people in returning back to family or guardian/s. Our High Support Intervention Service is needs based and can be on a short, medium or long term basis. An identified/matched Community/Family Support Worker will be assigned to the young person also offering 24/7 on call support to the young person and their families or guardians. Inspire Community Services have already evidenced excellent outcomes for young people using this type high level of support & intervention and have a proven track record with a high percentage of success. This cost effective intervention has already given young people the opportunity and confidence to live at home in a safe, crisis free environment. Inspire Community Service is committed to working with local authorities and their partners to help troubled and complex families in England to turn their lives around. Inspire Community Service want to ensure that all Children and young people in these families have the chance of a better life, and at the same time bringing down cost to the public sector. This Contract/Support Plan will be regularly reviewed. The Contract/Support Plan is agreed and signed by agencies that attend the meetings for the families. It states how things are expected to change, how this will be done and what may happen if you do not keep to the agreement. The Contact/Support Plan will be reviewed every 4-6 weeks. Inspire Community Services can offer a number of evidence based whole family and parenting assessment and interventions. These can be undertake on a 1:1 or in mixed, parenting group programme. Our aim is to work in partnership with the family as a whole or those with parental responsibility, working on the remit of ensuring Children and Young People can remain stable within their family setting. When Inspire Community Services complete a family assessment, there may be more than one child’s developmental needs to gather information on and more than one person in a parenting role to assess. The adults will also need to be assessed in respect to their developmental needs i.e. their self-care skills, social presentation, family and social relationships. The Common Assessment Framework is a standardised process to help practitioners at Inspire Community Services assess children’s additional needs, develop a common understanding of those needs and agree a process for working together to meet those needs. This process can promote early intervention and help identify if support from additional services may be needed. The CAF is aimed at children and young people with additional needs that are not being met by their current service provision. The CAF can be used for unborn children and children and young people up to the age of 18, but its use can be extended beyond 18 where appropriate to enable the young person to have a smooth transition to adult services. The CAF process is not for a child or young person about whom you have concerns that they might be suffering, or may be at risk of suffering harm. In such instances you should contact the LSCB First/Initial Response Team. This assessment tool is designed to help professionals to carefully consider a range of themes and to tease out issues that have potential for having a significant negative impact on the child. Our experience and train workers can work alongside the social work team to provide support in this type of assessment. The word “parent” should be loosely interpreted as appropriate to mean the mother and father, the mother’s partner, anyone with parental responsibility, and anyone else who has or is likely to have day to day care of the child. It is crucial to involve everyone who is a potential parent or carer in the assessment. A family group conference is a process led by family members to plan and make decisions for a child who is at risk. Children and young people are normally involved in their own family group conference, although often with support from an advocate. It is a voluntary process and families cannot be forced to have a family group conference. Families, including extended family members are assisted by an independent family group conference coordinator to prepare for the meeting. At the first part of the meeting, social workers and other professionals set out their concerns and what support could be made available. In the second part of the meeting family members then meet on their own to make a plan for the child. The family should be supported to carry out the plan, unless it is not safe. Read more about the family group conference process. Three quarters of local authorities In England and Wales currently run or commission family group conferences for children in their area or are planning to do so. However, only a small minority of councils routinely offer families a family group conference before a young child is taken into care. At the request from the local authority our Social Worker/s can be commissioned to undertake a core assessment or statutory visits to help support or review any part of a young person’s care plan if under a placement to parent agreement. These will be completed in accordance with the Care Planning, Placement and Care Review Regulation 2010. We co-ordinate the exchange of communication between parents and children in circumstances where no direct contact arrangements exist. 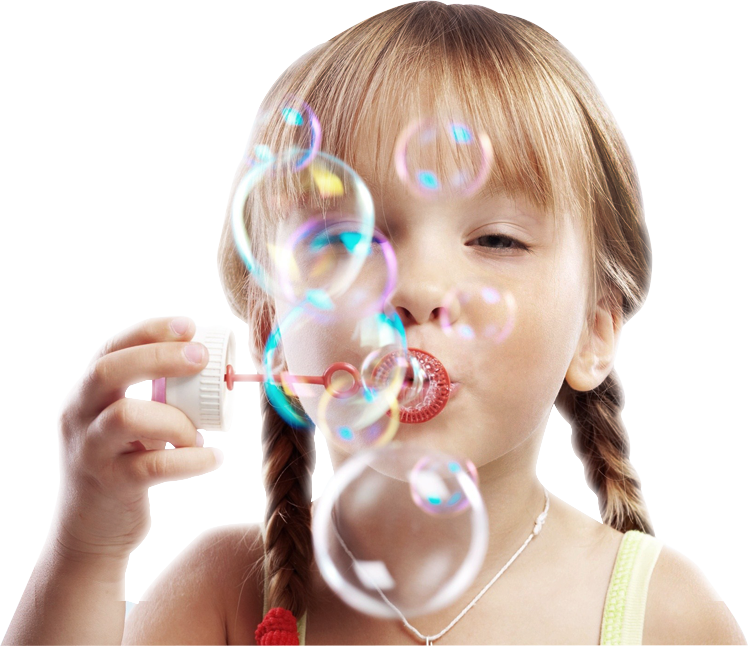 We facilitate contact between parents and children by providing a safe and warm environment. This involves the provision of a room and co-ordinating ‘drop off’- ‘pick up’ from a neutral point. We actively supervise contact between children and parents as directed by the courts. We undertake structured assessments of contact to inform and assist the local authority in assessments and decision making. Direct Work with Children Programmes. Inspire Community Services skilled and experienced professionals provide ‘direct’ work programmes with children and young people including ‘Life Story’, ‘Wishes & Feelings’ and ‘Preparation for Contact’ work. These programmes typically involve 5 or 6 x 1 hour sessions although we are guided by the child’s response to the sessions and programme timescales can therefore vary in length. ‘Life story work’ can help children make sense of their past, gain a balanced understanding of their present and, as an ongoing process, plan for a healthy & stable future. It is a valuable process in enabling children/young people to feel connected with significant people and places, their family of origin and their heritage. The production of a life story book means that information can be conveyed to the child/young person at appropriate times throughout their lives, exploring changing perspectives as different issues arise or Resurface. It can also encourage the child/ young person and future carers to continue adding information. Inspire Community Services uses skilled staff and a range of materials and resources to undertake life story work and produce life story books. Children often find it difficult to express their genuine ‘wishes and feelings’ when there are issues relating to contact, residence and other areas in their lives. When conflict exists between parents, these issues become increasingly difficult for children and their views can become suppressed, distorted or simply ignored. Our ‘wishes & feelings’ programme assists children and young people to explore their circumstances and articulate their wishes with clarity and in a child friendly environment. We employ a range of age appropriate tools to help children work through any dilemmas and obstacles they face in expressing themselves. Children sometimes experience long periods of absence from their parents due to matrimonial disputes. They frequently experience extreme anxiety when plans are made concerning a resumption of contact with absent parents. Our Preparation for Contact’ programme helps to prepare children accordingly and will help to promote the relationship, reduce anxiety and clarify future contact arrangements with the child. In some circumstances, families may need to be provided with short term accommodation for a range of issues, anti-social behaviour, community issues, overcrowding, living with other family members, safeguarding issues, risk of or becoming evicted These issues can impact significantly on family life and stability for young people’s emotional development. Inspire Community Services can provide appropriate, quality accommodation for families to live in through our partnerships with private landlords and a number of housing associations. This would always be considered a short term option working with families and the professionals involved on a plan to work towards families gaining their own tenancy. We will make sure that accommodation is furnished and has essential ‘white goods’. We ensure that the accommodation has appropriate health and safety checks and certificates to make sure appliances are working safely. You will need to sign a ‘Licence or Tenancy Agreement’ so that you have responsibility for your accommodation and utility bills from the outset. Under s507B of the Education and Inspections Act 2006 it is local authorities’ duty to secure “so far as reasonably practicable” access to sufficient educational and recreational leisure-time activities for the improvement of the well-being of young people aged 13-19 in their area. Inspire Community Services have established partnerships and links with the Young People Services in many local authorities. Some children and young people with the instability in their family life, this can often impact on their confidence and self-esteem, making them feel isolated and excluded in the community. Inspire Community Services through direct work and consultation with their family Key Worker, will support and motivate children and young people to access appropriate diversionary activities, that they have an interest in or look at trying something new. If a child or young person’s interest is something unique, Inspire Community Service will endeavour, if appropriate to promote these interests and work with local agencies/organisations/Services to achieve. To work in partnership with you – making sure you are at the centre of decision making. When Inspire Community Services begin to work with the Inspire Community Service support team, it is on the understanding that other agencies will also be involved in working with the family. For this reason we will need to share relevant information with them throughout the period of your support. The consent form which families will be asked to sign before working with us gives us permission to speak to other agencies involved in the family’s case. A whole family assessment between the family and your Key Worker – will be confidential to Inspire Community Services and the social worker/Independent Reviewing Officer involved, only the recommendations will be shared with other agencies. The Contract – details will be shared between other agencies at the review meetings who have an input onto work with the family. Information will be given on a ‘need to know’ basis. However, information may be shared without your consent form both the Contract/Support Plan if it is felt there is any risk to other people, agencies or the family. Files kept secure locked and our confidentiality policy is strictly observed. Access to personal files will be permitted for the purpose of monitoring and evaluating the scheme. The referring local authority may check to make sure we are doing the work we say we are. Please be aware that auditors will be allowed access to your file for this purpose. Please let us know if you are not happy about this. Inspire, works in partnership with local authorities to provide a rapid response to local Child and Adolescent Mental Health (CAMHS) teams in order to keep children who are at risk, safe whilst in hospital. Some of the support we are able to support could be young people who have been admitted due to self-injury or attempts on their life. Positive interactions, regular observation, monitoring, and maintaining records are all included within our hospital support. 1:1 or 2:1 staffing ratios are provided to meet individual needs in line with guidance from the CAMHS team. Inspire also provide local authorities to provide staff support on maternity wards or Home Labours offering 24 hours close observations, monitoring and maintaining of records, whilst assessments are undertaken by the relevant professionals. Within these package we will also provide the commission authority a written report of all collated observations, which may be used to contribute to any further professional reports or records. Inspire offer a range of Non Secure welfare transport services, by our experienced and dedicated team of drivers and supporting escorts. Our transport services can be commissioned as one off pieces of work or we welcome repeated work on a longer term contract basis. 24 hour, 365 days a year. To make a referral please contact us, you will need to complete a referral form and complete a risk assessment with all commissioned services. We can then determine if our service can meet the needs of the individual. We are always looking to improve our services if we can. We welcome all comments and suggestions both positive and negative. These can be made either directly to our staff or the manager, who will try to resolve any problems. Referrals - Who Can Refer To The Service? Referrals to Inspire Community Services are encouraged from any statutory or voluntary agencies that are aware of a family that meet our referral criteria. While we cannot always guarantee we will offer everyone referred to Inspire Community Services a service we will do our best to let you know as soon as possible. It is also important to say that the organisation that has made the referral or enquired about our services will have a big say in whether we can proceed or not.